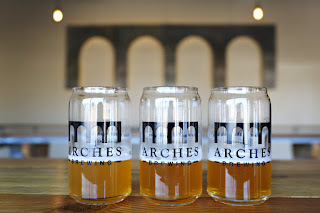 Found in Hapeville Georgia, just north of the airport, Arches Brewing is a great addition to the Atlanta brewery family. You must carefully follow your GPS or risk driving right past it; but once you park and walk in the doors, you’re instantly greeted, and you enjoy taking in the perfect combination of the historic looking design with modern features. 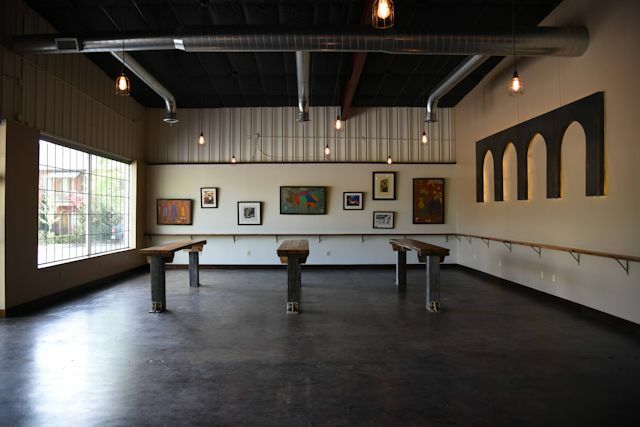 With plenty of space to stand at the bar-style tables and drink the beer that you are now inexplicably holding, the taps remain as the centerpiece of this habitation, drawing your focus to the list that doesn’t quite read the same as the other GA breweries you have visited. 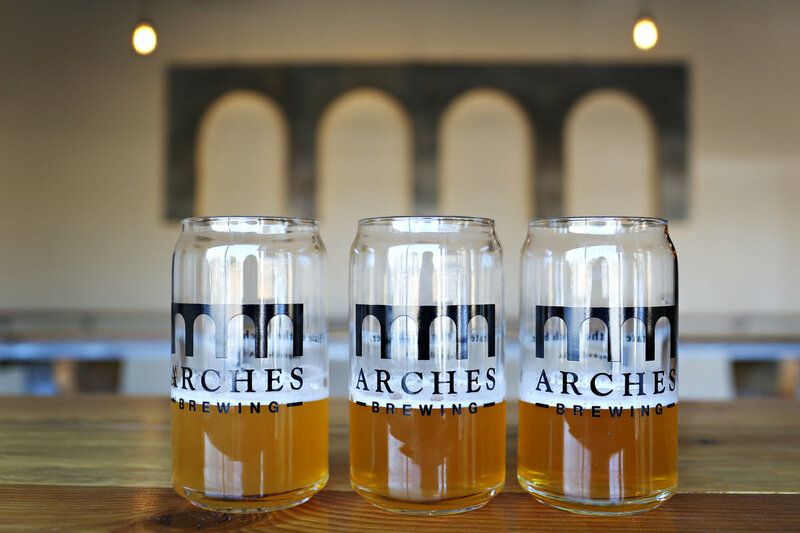 Arches focuses on old world beer recipes with modern technology, and in doing so has established a niche within the craft brewing industry. You find many classic lagers similar to that of Germany and the reinheitsgebot driven beers and less of the hop-forward American styles that we are so used to seeing. As you realize that your first beer has already disappeared and grab your next one, you will decide to travel further back into the building. The next stop on the pathway takes you right past some of the fermenters and you will get to enjoy taking in the beautiful new equipment that they have prepared themselves with. 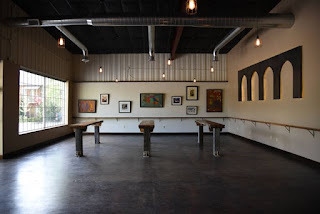 Since you will surely be back for the next brewery tour that they offer, keep on moving to the back patio area which contains a wide array of games including giant jenga and several corn-hole boards. I’m not sure if it is an ongoing offering, but when I visited they also offered BBQ and other food, which perfectly mixes with the old world brews. Finding the shade, they also have a number of picnic tables to lounge on while enjoying the rest of their beer samples. Now that you have experienced the virtual tour, hopefully you have been persuaded to spend your next free night at this location. Arches Brewing lands near the top of my personal lists in the beer brewing category, for the main reason that they are slightly unique and I can find beer that I won’t likely find elsewhere. If you have a certain beer style that you expect to try, make sure you check the European brewing calendar (or their website), as many of their seasonals come and go along with the seasons. Don’t worry too much, my bet is that if you don’t prepare at all, you’re still likely to find a new awesome beer that makes the top of your list also!